William Waters in Student Life on 24 February, 2016. 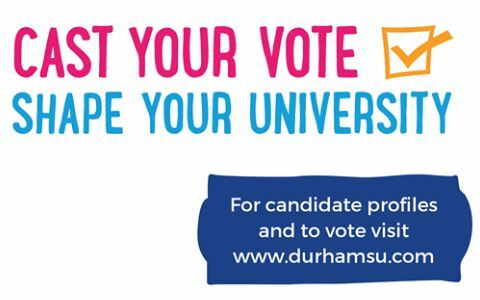 What was the outcome of the DSU presidential election? Find out below. Adam Johnson, a former player for Sunderland and Middlesbrough football cubs, admitted that he “felt stupid” for kissing a fifteen year-old girl, but continues to deny further sexual contact. As his trial for two counts of sexual activity with a child progressed, Bradford Crown Court heard evidence from the alleged victim’s father who claimed that she had confessed to sexual activity with the winger in a tearful exchange. The teenager’s friend also spoke, saying that Johnson had asked the teenager for a naked picture via Snapchat. But Johnson said of the accusations: “I couldn’t believe the things she was saying to police. I felt like someone else was telling her to say these things.” He also denies that he delayed admitting to the encounters in an attempt to preserve his career (he was eventually sacked by Sunderland AFC after pleading guilty to two lesser charges). Alice Dee won the DSU presidential election. With 1819 votes to her name she beat Jade Azim’s 1159. Dee promises to “focus on increasing communication and student consultation”, while Azim had run on the basis of producing “an active presidency unlike any before”, saying that she would not shy away from “a confrontational relationship with the University”. In the four other elections, Lisa Whiting, the current St. Aidan’s Senior Union Officer, became Academic Affairs Officer on the back of a strong vote from members of her own college, while Adam Jarvis narrowly beat Anoushka Twining to the development officer role. Kara-Jane Senior and Joanna Gower were elected unopposed to the positions of Activities and Community Officer respectively. A catering company in Newcastle has been found to be selling nitrous oxide, or ‘laughing gas’, as a recreational drug. According to their website, Toon Whip sell the gas for making whipped cream, and they warn buyers not to inhale. But BBC undercover reporters were shown how to release the gas into a balloon so that it could be easily breathed in. Inhaling nitrous oxide can cause rapid asphyxiation. Although it is not illegal to provide it to adults, some students, a group targeted by Toon Whip advertising, still use it as a party drug. Durham Constabulary was rated “Outstanding” by Her Majesty’s Inspectorate of Constabulary, the only force in the country to receive this grade overall. The Durham force were commended for their proficiency in keeping people safe and investigating and preventing crime. Sheraton Park, in Neville’s Cross, has become the latest site being redeveloped to provide student accommodation. 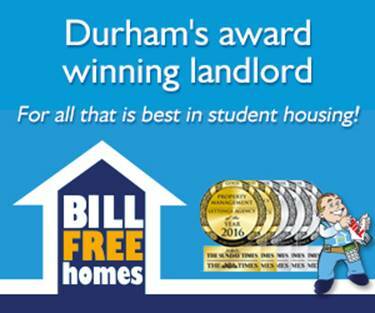 Beds will be provided for 418 students, in the form of a mix of en-suite rooms and studio flats, at the old site of New College Durham. The development is scheduled to be ready for October 2017.